I have been seeing a marked increase in the number of men who are seeking treatment for gynecomastia (enlarged male breasts). 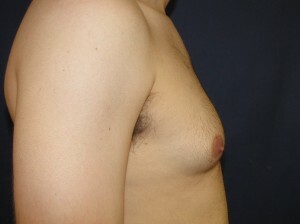 This phenomenon, however, is not the result of a sudden epidemic of men who have significantly enlarged breasts. Instead it appears to be the result of greater awareness of the issue and the availability of very effective and safe treatment. Women don’t have a monopoly on the desire to look the best they can. Men want to look good as well at least as regards certain areas. 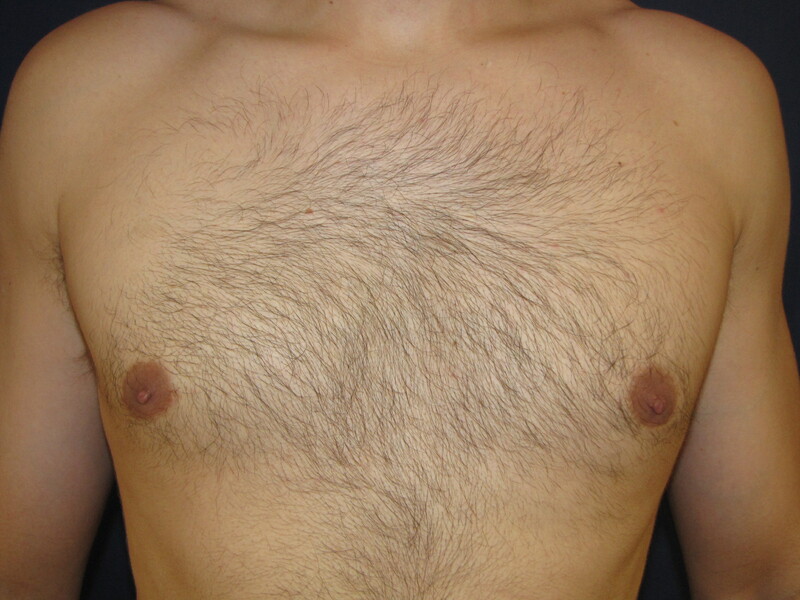 That is one of the major reasons men exercise and work out – having some nice pecs can do wonders for one’s ego, pride and attractiveness to women. 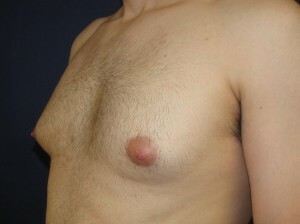 Conversely, enlarged, feminized breasts can be the source of tremendous anxiety, self-consciousness and doubt. 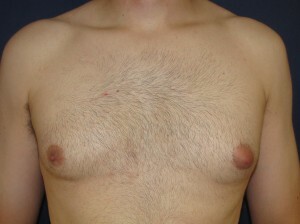 The photos below show a typical case of gynecomastia in a 30 year old man – both before and after surgery which was performed using ultrasonic assisted liposuction. 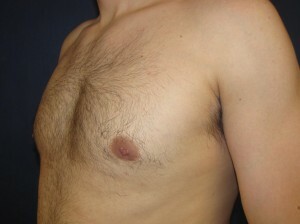 Some men may present with much larger breasts; others with just focal areas of involvement. As you can see from these photos of gynecomastia and its treatment, the outcome can be very natural appearing masculine breasts with little tell-tale signs of surgery. 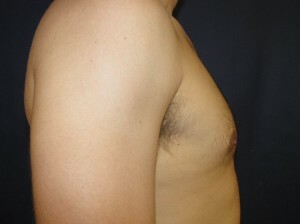 This patient was extremely happy and appreciative of his results which had a positive impact on his daily life. If you would like some additional information on male breast reduction surgery for the treatment of gynecomastia, on liposuction for other areas or to schedule a complimentary cosmetic consultation with me, you can contact my office at 480-451-3000.